Winter is well and truly here, and some of the regions in the US and Northern Europe are reportedly experiencing the coldest weather in the last decade or so. Obviously there is little you can do about being boxed in thanks to the heavy snow outside. Instead of constantly worrying about not being able to go out or enjoy a milder winter, it is time to make the best of the hand you have been dealt. 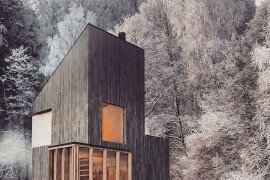 There are plenty of ways in which you can keep the chill out this winter, but embracing a chic winter cabin style is arguably the most aesthetic of the lot! No matter where you turn and what style you choose for your interior, a beautiful fireplace with a lovely little spot to rest and relax right next to it is the best way to give yourself the perfect gift this winter! Modern fireplace designs come in a variety of shapes and styles, and you can even opt for a two-sided fireplace with a glass front that serves more than a single room! 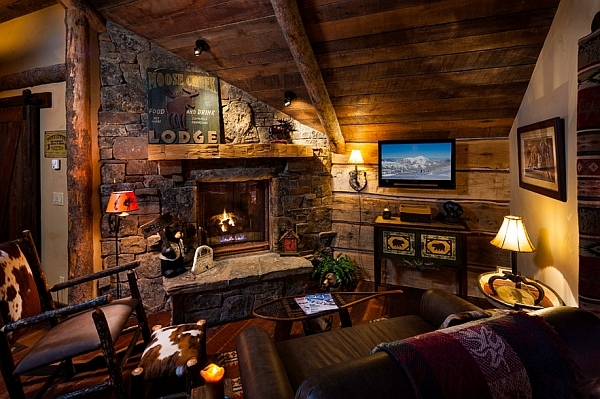 If you are going for the classic log cabin look, we suggest you invest in a lovely stone fireplace that will serve you well for years to come. Plan around this fiery focal point and use plush decor and warm textures to fashion the ideal winter retreat that is right at your home! And as you enjoy some romantic evenings and magical nights curled in that cozy chaise lounge, you will quickly realize that a gorgeous fireplace is irreplaceable; even if you have central heating! 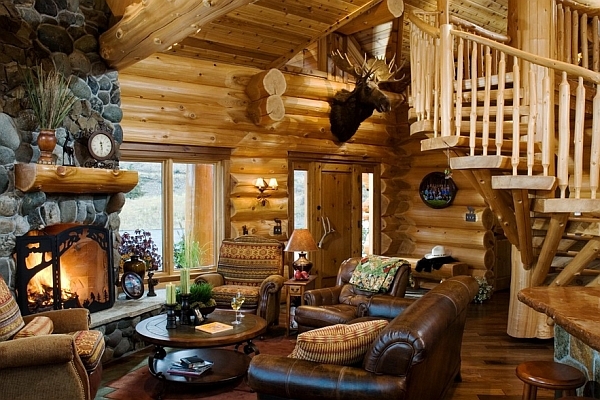 Nothing creates a warm and snug setting like a bit of wood, and since we are talking about a cabin-styled interior, this is an absolute must. 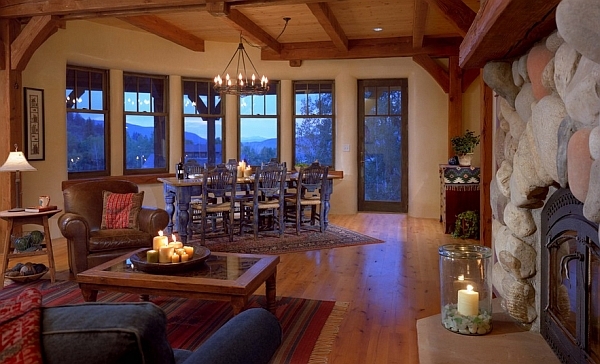 If you have a ceiling with exposed wooden beams, then highlight this feature of the room with a simple paint job. 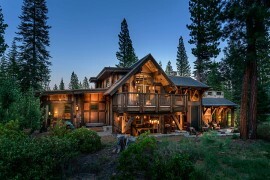 Keep things uncomplicated and rustic. Add a touch of metallic glint (preferably in golden brass) to further accentuate this style. 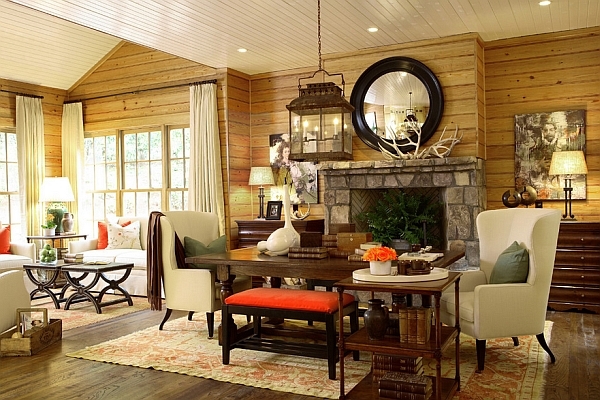 An accent wall with wooden paneling sets the perfect tone for the remainder of the room. 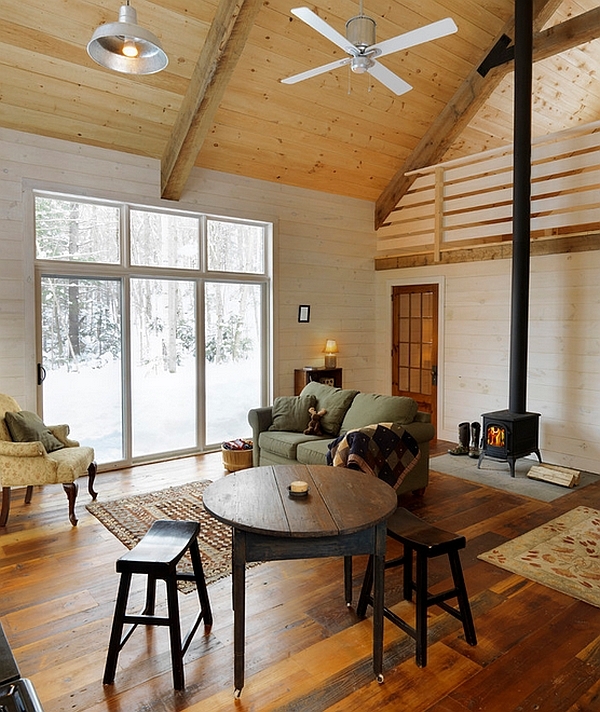 While decking your outhouse into a cabin-style retreat that becomes your personal getaway this winter is easy enough, not all of us are lucky enough to have such privilege. 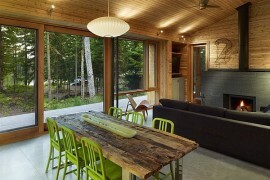 Some of us would just like to bring in the woodsy appeal without committing to the theme extensively. 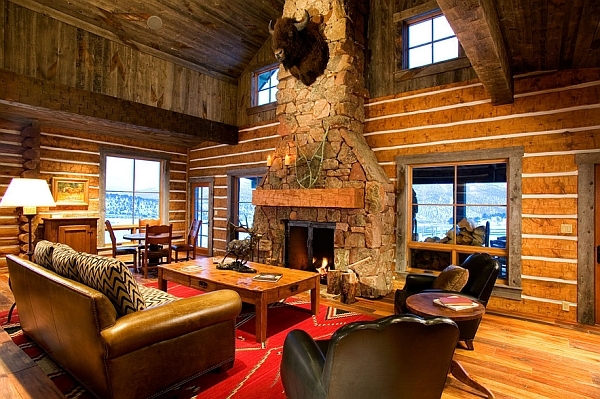 Antiques and decor with log cabin motifs do this job with ease. A few throw pillow covers in red with reindeer print, a few wall art additions that remind you of your old holiday trip to your favorite log cabin and a few cleverly placed coffee mugs and chinaware with similar prints can easily get the job done. Since you are not opting to make any major changes, try to switch around the furniture to introduce some rustic elements. Wooden chairs, old trunks and wicker baskets work just fine with this theme. 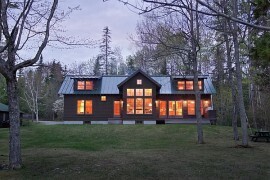 How many of us would like to live in a winter cabin with warm, turquoise blue waters just outside the window? It is a mental image that just does not seem right. 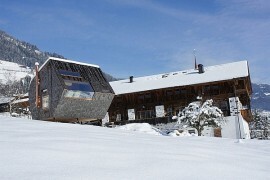 Snow-filled scenery outside or lush green vegetation is an integral part of the cabin retreat style. 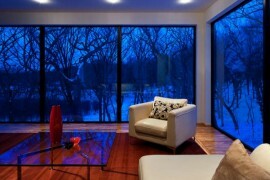 Invite this image indoors with properly insulated windows that allow you to take in the view. Even if it is a simple snow-clad walkway on the street, it adds a whole lot to the log cabin atmosphere. Give it a shot and notice the vast difference it makes! 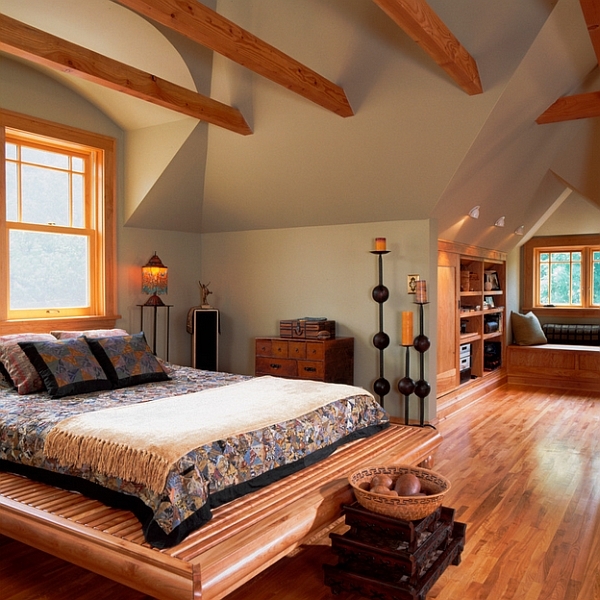 Give the guest room or your own bedroom a new bunk bed that borrows heavily from rustic elements. 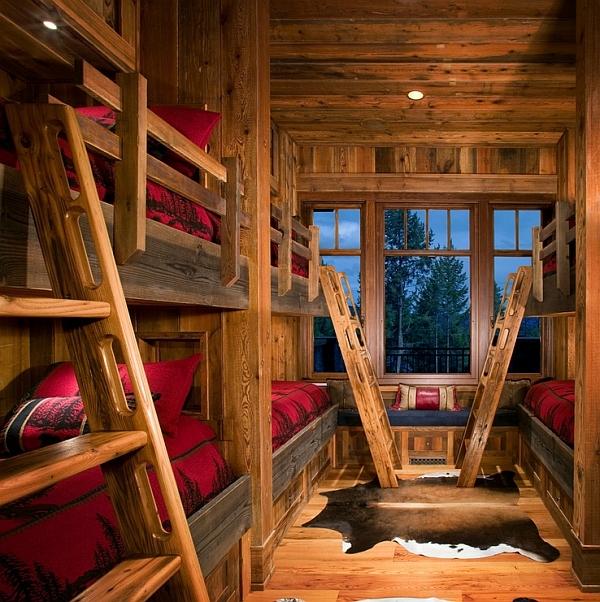 Not only are you instantly creating additional space for more guests, but when coupled with the right lighting, bunk beds can give the room a wonderful ‘log cabin’ look. For those who are not fond of the bunk beds (because a king-sized bed is too comfortable to let go of this winter), a simple loft bed is the perfect alternative. It need not be relegated to your bedroom, and this quiet niche will serve you as a perennial escape; when life gets a touch too busy! 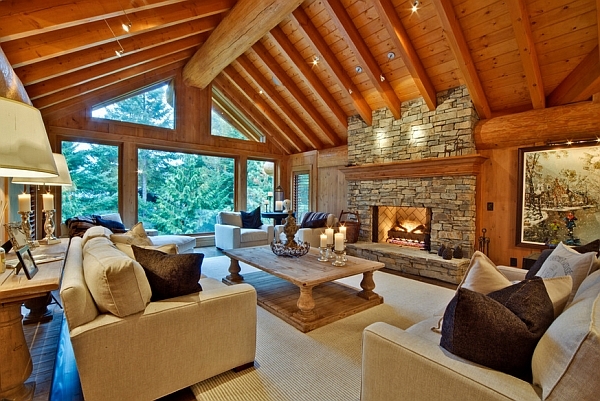 Slanted ceilings offer an exquisite backdrop when trying to fashion homes that are cozy and intimate. It is one of those times when you realize that a small bedroom is probably a far better option than a large room with plenty of open space. For those reluctant about redecorating the living room and the bedroom, the attic or the basement is a convenient alternative. 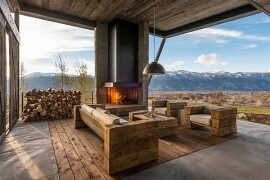 Just clear out the space, give it a fresh look and try out your winter cabin look here, before committing to the style. Dim candle lighting (not to be confused with dull or poor lighting) is an absolute must when you are trying to fill the long, dark winter evenings and nights with a fuzzy, warm glow. When you cannot afford to add a fireplace to the room, candles become even more essential. Considering how a snow storm could lead to a power outage, it is best to keep a few candles handy anyway. Bright brass candle stands also add to the aesthetics of the room. But make sure that you take the necessary precautions to avoid any fire mishaps. 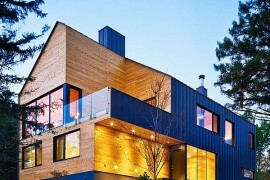 Apart from dressing up your home visually, it is best that you also give it a textural makeover with changing seasons. Winter decor demands plush textiles that induce warmth with ease. Regardless of the textiles you pick, ensure that some items feature bright and cheerful shades, so as to drive away any sense of blandness. 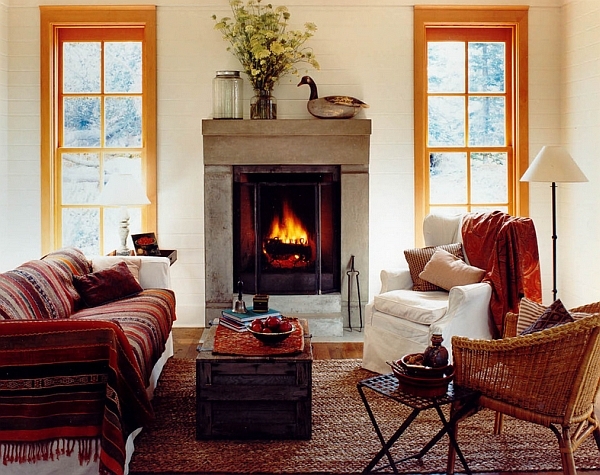 The chic cabin style is not very demanding on precise arrangement, so feel free to casually place some of these textiles on the chairs and couch to fashion a deliberately nonchalant appeal. Often we focus so much on design, color, style and themes that we forget about things that go beyond the obvious. 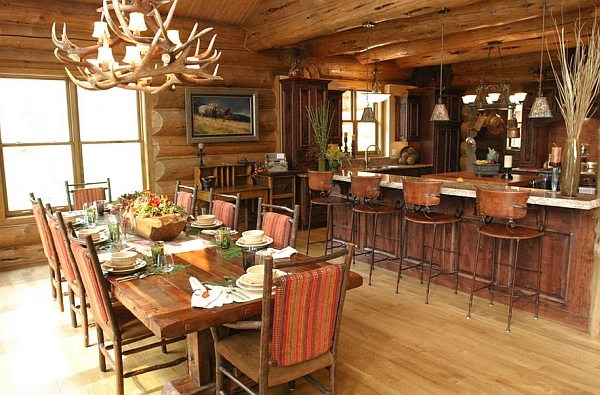 Complete your winter cabin style with a kitchen that serves up the right stuff. Hot chocolate, hot soups and comfort foods make your stay indoors even more fun and pleasant. Once spring starts to kick in and the fresh air takes over outside, you can think about burning away those few additional pounds! This winter, treat yourself with some delectable delights… And for those looking to create a more vibrant and green bedroom this winter, here is how you can embrace a breezy tropical style without going over the top. 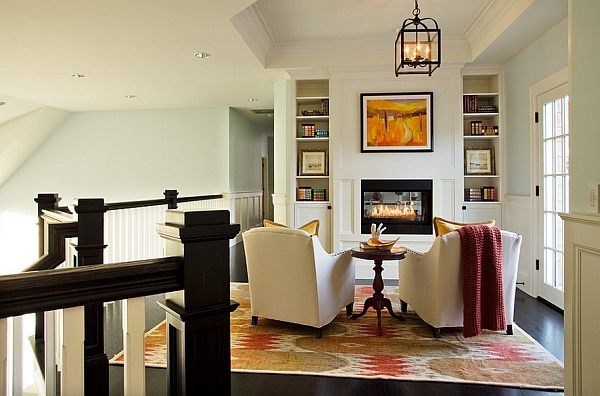 Have you given your home a makeover this winter?